On Chernobyl’s 30-year anniversary, doctors are still assessing the damage to human health. We’re still trying to assess how many people may have been affected by the worst nuclear accident in history. 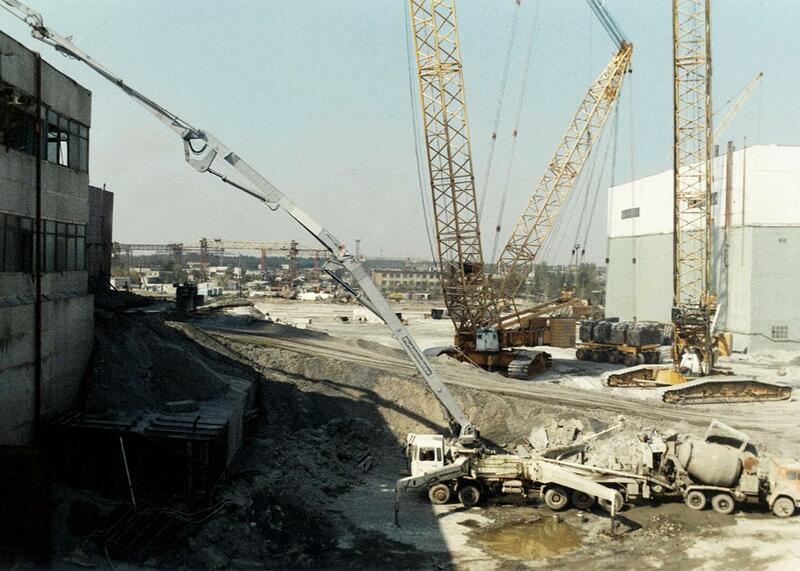 Repairs being carried out at the Chernobyl nuclear plant in the Ukraine in 1986, several months after the major explosion. The 1986 Chernobyl and 2011 Fukushima nuclear power plant accidents both share the notorious distinction of attaining the highest accident rating on the International Atomic Energy Agency, or IAEA, scale of nuclear accidents. No other reactor incident has ever received this Level 7 “major accident” designation in the history of nuclear power. Chernobyl and Fukushima earned it because both involved core meltdowns that released significant amounts of radioactivity to their surroundings. On the occasion of the 30th anniversary of the April 26, 1986, Chernobyl accident in Ukraine, we do well to reflect on the health burden it caused—and compare it with what we expect to see from Japan’s Fukushima nuclear accident. As I report in my book Strange Glow: The Story of Radiation, from a public health standpoint, there’s really no comparison between the two events. Chernobyl was by far the worst reactor accident of all time. A total of 127 reactor workers, firemen, and emergency personnel on site sustained radiation doses sufficient to cause radiation sickness (over 1,000 millisieverts); some received doses high enough to be lethal (over 5,000 mSv). Over the subsequent six months, 54 died from their radiation exposure. And it’s been estimated that 22 of the 110,645 cleanup workers may have contracted fatal leukemias over the next 25 years. In contrast, at Fukushima, there were no radiation doses high enough to produce radiation sickness, even among the reactor core workers. Two Fukushima workers who had leaky respirators received effective doses of 590 mSv and 640 mSv. That’s above the Japanese occupational limit for conducting lifesaving rescue work (250 mSv) but still below the threshold for radiation sickness (1,000 mSv). Due to their exposure, the two workers’ lifetime cancer risks will increase about 3 percent (from the 25 percent background cancer risk rate to about 28 percent), but they are unlikely to experience other health consequences. Their detailed analysis included countrywide estimates of individual radiation doses in all 40 exposed countries, and regionwide estimates for the most highly contaminated regions of the most highly contaminated countries (Belarus, Russian Federation, and Ukraine). So that’s 22,800 nonthyroid cancers in addition to the approximately 194 million cancer cases that would normally be expected in a population of that size, even in the absence of a Chernobyl accident. The increase from 194,000,000 to 194,022,800 is a 0.01 percent rise in the overall cancer rate. That’s too small to have any measurable impact on the cancer incidence rates for any national cancer registries, so these predicted values will likely remain theoretical. Unfortunately, at Chernobyl, the one type of cancer that could have easily been prevented was not. The population surrounding Chernobyl was not warned that iodine-131—a radioactive fission product that can enter the food chain—had contaminated milk and other locally produced agricultural products. Consequently, people ate iodine-131–contaminated food, resulting in thyroid cancers. For the local population, iodine-131 exposure was a worst-case scenario because the people were already suffering from an iodine-deficient diet; their iodine-starved thyroids sucked up any iodine that became available. This extremely unfortunate situation would not have happened in countries such as the United States or Japan, where diets are richer in iodine. At Fukushima, in contrast, there was much less iodine-131 exposure. The affected population was smaller, local people were advised to avoid local dairy products due to possible contamination, and they did not have iodine-deficient diets. Consequently, typical radiation doses to the thyroid were low. Iodine-131 uptake into the thyroids of exposed people was measured and the doses were estimated to average just 4.2 mSv for children and 3.5 mSv for adults—levels comparable to annual background radiation doses of approximately 3.0 mSv per year. Contrast this to Chernobyl, where a significant proportion of the local population received thyroid doses in excess of 200 mSv—50 times more—well high enough to see appreciable amounts of excess thyroid cancer. So at Fukushima, where iodine-131 doses approached background levels, we wouldn’t expect thyroid cancer to present the problem that it did at Chernobyl. In short, Chernobyl is by far the worst nuclear power plant accident of all time. It was a totally human-made event—a “safety” test gone terribly awry—made worse by incompetent workers who did all the wrong things when attempting to avert a meltdown. April 26, 1986, was the darkest day in the history of nuclear power. Thirty years later, there is no rival that comes even close to Chernobyl in terms of public health consequences; certainly not Fukushima. We must be vigilant to ensure nothing like Chernobyl ever happens again. We don’t want to be “celebrating” any more anniversaries like this one.